We advise businesses of their opportunities in a sustainable low-carbon world. Our consultants ensure that the carbon strategy is practially viable whilst meeting the needs of the organisation to monitor and reduce its carbon output. Delta-Simons provides carbon consultancy to clients from a range of sectors – including retail, offices, manufacturing, mailing, transport, logistics and energy. Whether you are considering assessing part or all of your business, or developing a carbon neutral product to market, we can help. Managing your company’s carbon footprint means managing resources and managing spend. Providing products which are carbon neutral and environmentally responsible can add extra value to your customers and/or generate additional revenue streams. Demonstrating good carbon management can help win private and public sector bids and tenders. We have calculated carbon footprints on a variety of projects, from the running of an office to global mailing operations; from a fleet of company vehicles to the manufacturing of a suit. We conduct carbon footprints to best practice standards such as the Greenhouse Gas (GHG) Protocol, ISO14064-1 and PAS2050. We use internationally recognised emissions factors such as Defra to provide credible and robust calculations. 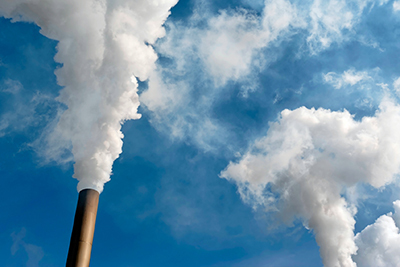 All UK incorporated companies listed on the London Stock Exchange, New York Stock Exchange, NASDAQ or in an European Economic Area are now required to report their annual greenhouse gas (GHG) emissions. The Carbon Reduction Commitment (CRC) requires all large consumers of energy (>6,000MWh annually) to report the electricity and gas they consume. The scheme requires participants to gather energy data and make any necessary estimations. Companies must then buy allowances for every tonne of carbon they emit as a result of electricity and gas consumption. In managing the CRC responsibilities for our clients, we help them to reduce energy consumption and subsequent CRC payments. By offsetting carbon, businesses can neutralise their environmental impact on the world – or even go ‘Beyond Carbon Neutral’. By planting trees via our close partnership with the Woodland Trust, a business can also remove their carbon whilst also creating new ecologically valuable woodland habitat right here in the UK. By investing in carbon offsets verified to the highest international standards, your business can become carbon neutral whilst improving the environment and the lives of people in developing countries. Delta-Simons are the official sustainability partner of the Woodland Trust. Through the partnership, Delta-Simons purchases Woodland Carbon on behalf of our clients who are seeking to remove their carbon emissions through the planting of new woodland projects in the UK.